Greetings and warmest of wishes everyone. If you recall, back when we launched Anime Evo V5, we said that we would look into other forms of content like video, alongside our bred and butter Episode Blogs, Reviews and general written content. Over the past few months, I’ve actually been hard at work to deliver on those claims and promises, and the result is something called Notaku. 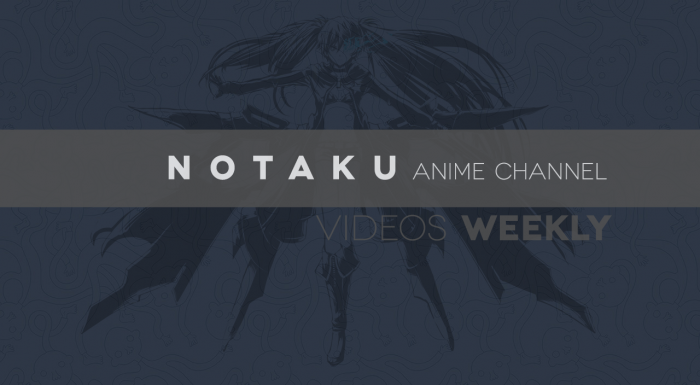 Notaku is a Youtube channel that is a collaboration between Anime-Evo.Net and our Affiliate/Friend site Lost in America. Myself and Guardian Enzo are the ones driving this project, and this channel is going to serve as a place for video podcasts and topical videos about anime and the anime industry. The whole idea of these Notaku videos are that they will serve as a companion to our written contact for both sites. Its an experiment and an exploration into uncharted waters for everyone involved. We’re no experts at this, but much like how Anime-Evo.Net has grown and matured over the years, so too will this latest project. So… For our first ever video, we decided to do a video podcast and tackle a pretty huge topic, which is the upcoming 2016 Summer Anime Season (because who takes it easy on the first try eh? XD). This is more of a highlight overview, and a fairly long episode at 40 minutes, so apologies for not covering everything notable that’s coming out this season. I’m curious to see what everyone thinks about this, and this will be a good place to talk about the Upcoming season, alongside the previews that FlareKnight and Flower have already put out there. I myself will be skipping the Preview this season, if only because this video pretty much serves as that, and that I’m frankly out of time at this point. Finally, I hope that you enjoy the content we created. Please Support us if you like the content, by subscribing to the channel on YouTube, liking the video and leaving a comment if you are so inclined. Also, feel free to share any opinions in the comments of this post as well. Thanks!